PACIFIC JUNCTION — Vice President Mike Pence Friday said it’s time for congress “to put politics aside” and approve a disaster aid package that includes money for Midwestern flooding. “As Democrat senators coming through Iowa asking for your vote, the people of Iowa ought to be asking Elizabeth Warren, Amy Klobuchar, Cory Booker — ask them why they voted against disaster assistance for Iowa,” Pence said in southwest Iowa. Senate Democrats say victims of the 2017 hurricanes in Puerto Rico need more federal help and they’re blocking a vote on a disaster aid package. 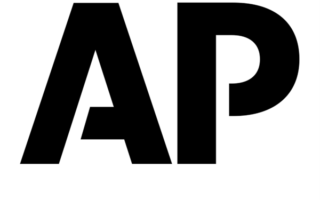 “Right now, Iowa needs disaster assistance and it’s time for people to set politics aside and support the disaster relief declaration and the supplemental bill,” Pence said. 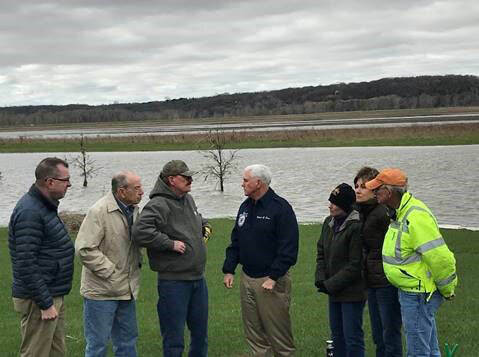 Pence was in southwest Iowa earlier today, surveying flood damage and recovery efforts — and he told reporters the amount of damage that remains in the area was beyond what he had expected. “The magnitude of the collapse of levees that’s continuing to keep these flood waters rising high — we’ve got work to do,” Pence said. President Trump has approved Governor Kim Reynolds’ request to declare much of Iowa a presidential disaster area due to the recent flooding and storms. Iowa Republican Joni Ernst was among a group of U.S. Senators who met with President Trump Thursday about the negotiations. The governor told reporters it’s critical that congress act quickly. Iowa Senator Chuck Grassley, who has said this spring’s flooding is still “an active event,” said congress must take a “bipartisan approach” to its response. “There has not been a single disaster that when the funds run out for FEMA and other programs that they haven’t been in a very consensus way re-instituted and replenished by the congress of the United States,” Grassley said. Pence toured a farm southwest of Pacific Junction that was hit by last month’s flooding. He also took an aerial tour of the flooding. On Wednesday, Senator Ernst will convene a hearing in Glenwood to discuss U.S. Army Corp of Engineers management of the Missouri River.